Home to rugged beaches, the iconic yerba mate tea and of course, the Gaucho, Uruguay is one of South America's hidden jewels. This relatively undiscovered country allows students to get off the beaten track and truly immerse themselves in local culture. The nation’s capital, Montevideo, is a great hub and the perfect springboard from which to discover the surrounding area along with the rest of Uruguay. 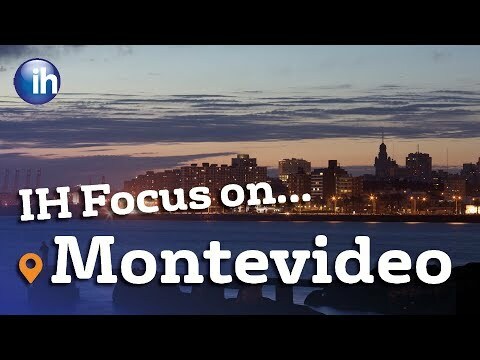 Full of friendly locals, the city is a great place to practise Spanish, and International House Montevideo offers an exciting range of Study Abroad options. In addition to intensive and business Spanish, IH Montevideo offers the opportunity to combine language classes with workshops and excursions via specialist courses such as Spanish and Culture, Spanish and Tango, Spanish and Adventure, and more. As well as this, the school is located just a short walk from the coast and boasts an exciting social programme, allowing students to combine city and beach, and throw themselves into the midst of Uruguayan life. Find out more about studying Spanish at IH Montevideo below.